How Can I Speed up my Disability Claim? There are certain situations which require the Social Security Administration (SSA) to make fast disability decisions. The process of applying for and getting Social Security disability is lengthy, and it can take up to two years – or longer – to get a final decision. Fortunately, there are a few types of claims called “critical cases” that the Social Security Administration will process quickly. Dire Need: If a claimant does not have the resources to get food, medicine, or shelter, the SSA will treat the claim as a critical case. The SSA will not immediately label the file of every claimant who alleges financial hardship as a “dire need” case because it would prevent them from being able to help the most serious cases. Therefore, if you request that your claim be treated as a “dire need” case, you should provide the SSA with as much evidence as possible to support your statements. Personal or Public Safety: If there is evidence that a claimant is suicidal or homicidal, the SSA will expedite the claim. This evidence may come from the claimant, treating physicians, family and friends, law enforcement, or SSA employees. If it is determined that a claimant is a threat to either him or herself or to others, the SSA will contact the appropriate authorities immediately to ensure everyone’s safety. Terminal Illness: The SSA will also expedite claims based on a terminal illness. The SSA calls these claims “TERI” cases. Because of the sensitive nature of TERI cases, the SSA will never mark or note the case as “terminal” in the file. The SSA may identify a claim as terminal based on doctors’ statements, certain diagnoses, if the claimant has an ongoing need for life support, is on a transplant wait-list, has been in a coma longer than 30 days, has certain cancers or cancer that has metastasized, is at stage IV, recurs after treatment, or is inoperable. Other terminal conditions may also qualify as a TERI case. Military Service Personnel: The SSA will expedite disability claims filed by military service personnel for injuries or illnesses that developed on or after October 1, 2001. 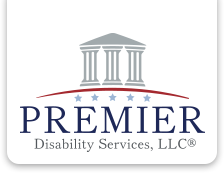 The claimant does not need to be a current service member, but the disability must have begun while the claimant was on active duty. Compassionate Allowances: Some medical conditions may qualify for what the SSA calls a “compassionate allowance” (CAL). CAL conditions are so severe that they are almost always immediately approved under the SSA’s Listing of Impairments. The SSA requires minimal objective medical evidence for some CAL conditions and will sometimes grant approval based on a diagnosis alone. This makes it easier to approve these claims quickly, sometimes in as little as ten days. There are currently over 100 CAL conditions currently recognized by the SSA, including pancreatic cancer, ALS, and malignant multiple sclerosis.